Personalisation and fragmentation are two of the biggest drivers of change in the food and health business, writes Julian Mellentin, founder and director of expert think-tank New Nutrition Business. IT HAS BEEN 20 years since the first “functional food” burst onto the American market, with the debut of rival spreads Benecol from Raisio, and Flora from Unilever, each boasting their clinically proven ability to lower cholesterol by 12% thanks to their active ingredient, plant sterol esters. But consumers don’t go shopping with a list that says “yoghurt, bananas, apples, functional foods.” Since 1998 people have shown they want regular food that confers some health benefit, seems natural, is easy to understand, and relates to their own needs. That’s why probiotic yoghurt was the only real winner from the “functional foods” frenzy of 1998-2007; the presence of bugs that are good for you in yoghurt, which people knew contained “live and active cultures,” seemed logical. Omega-3 fish oil fortified bread, milk with glucosamine for joint health, milk with melatonin, smoothies with cholesterol-lowering plant sterols—these and hundreds of others seemed too medical or just weird to the average person and have disappeared, or linger in niches. Where the “science-added” strategy remains, it’s largely as a deliberate niche venture, such as the recent launch by Australia’s biggest breakfast cereal maker of Weet-Bix Cholesterol-Lowering—cereal with plant sterols—a new variant aiming to capture more value for a parent brand which, like so many, has seen sinking sales. Back in 1998 no one foresaw that personalisation and fragmentation would become two of the biggest drivers of change in the business of food and health. Together they are creating a wealth of opportunities and simultaneously giving strategists a headache over how to handle an ever-more-diverse marketplace. Personalisation is all about consumers taking back control of what they buy, eat and do. People want to feel empowered and confident to create their own diet and health choices. The roots of this change lie in technology and in changing dietary advice. It isn’t surprising that consumers think dietary advice often flips 180 degrees. Today eggs are promoted for their protein and other nutrients, but 20 years ago they were demonised by dietitians for their cholesterol content. Butter was demonised for 50 years, but now we know that in moderation it poses no risk to cardiovascular health; it is also “more natural” and less processed than the margarines we were told to eat in its place. Unsurprisingly, 76% of Americans think the messages about food and health are confusing, according to findings from the International Food Information Council (IFIC) 2017 Food & Health Survey of Americans. As a result, people are going online, doing their own research and crafting their own personalised eating style that they believe matches their needs as individuals. For about half the population, the idea that each of us is unique and therefore has unique nutritional and metabolic needs is becoming an accepted fact. We’re in the era of lifestyle personalisation. People’s ideas about food and health have become an increasingly large and complex menu from which they feel they can select and then modify their choices, or completely change them as new information becomes available. 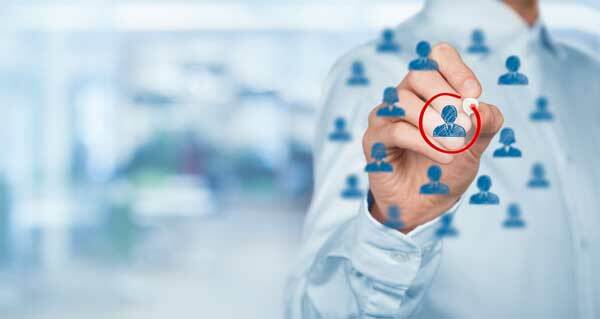 Science-based personalisation is still in its embryonic phase. Consumers are experimenting with DNA testing, with analysis at its highest among sports and fitness enthusiasts. These people are the early adopters whose restless quest to optimise their performance and their health makes them the canary in the coal mine of the nutrition business. They have already driven the rise of protein, vegetable protein, and low carb-high fat diets, such as that made popular by three-time Tour de France winner Chris Froome. Given time, they will drive the mainstreaming of personalisation. Markets are fragmenting and it has become increasingly difficult, and rare, to establish high volume mass-scale brands. IRI data bears out how this has become true across the food and beverage industry. For example, IRI data shows: in 2014, 63% of new brands earned more than $20-million in first year sales, but by 2016 that number had plunged, with only 33% of new products earning more than $20-million in first year sales. Smaller niches are arising that give opportunities both for startups and fleet-footed established players willing to cater to the proliferating array of consumer beliefs. Consumers’ quest for digestive wellness remains a big driver of new opportunities for businesses large and small. The rise of probiotic dairy, gluten-free and lactose-free dairy, and plant milk is all driven by people looking to avoid digestive upsets. Like every other area, digestive health is fragmenting, with people willing to consider more ingredients, more types of avoidance, and more product categories. Prebiotics should be one of the stars of the digestive market. They are science-based and have secured a rare regulator-approved health claim in Europe. But the word “prebiotic” is largely unknown to consumers, and they often confuse it with probiotic. Savvy companies tend to use the prebiotic ingredient for the effect, but add another ingredient, such as kiwifruit, fig or beetroot, that signifies digestive wellness to the consumer. 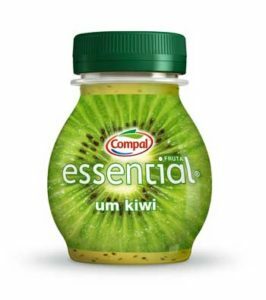 A good example can be found in Portugal, where juice market leader Compal uses kiwifruit, with its strong digestive health association in people’s minds, as the “star” ingredient for its digestive health juice shot, with added inulin for digestive claims. Probiotics continue to be a selling point in dairy, but the opportunity has pivoted to other product types, driven by the buzz online and in the media about fermented foods. Rising consumer interest in fermented foods is partly driven by the fact that we are all food explorers now, open to trying new foods, drinks, tastes and cuisines that would have been unknown to our grandparents or even our parents. The emergence of a few successful probiotic drinks indicates consumers are becoming more open to probiotic benefits from non-dairy sources. One example is the Kevita brand, acquired for its growth potential by PepsiCo, which markets a westernised version of kombucha and has sales approaching $100 million. Entrepreneurs have been expanding the reach of probiotics into cultured sauerkraut and other fermented products, and plant-based dairy alternatives. The potential for plant-based probiotic yogurt has prompted Chr Hansen to launch a range of starter cultures specifically for plant-based products, both containing Bifidobacterium BB12. “This is still a very niche market … but it’s where we see growth. This will eventually be really significant,” a Chr Hansen spokesperson said. Fermented food is a growing area that aligns with interest by the leading-edge lifestyle consumers understanding of the gut microbiota trend. Its rationale is based on “traditional practice,” but it lacks human clinical evidence to support claims. However, any fermented product that relies on bacteria to create taste, texture and other properties makes sense as a carrier for science-based bacteria. Convenient vegetables are the most important driver of the plant-based trend. Creative new product development (NPD) has allowed companies to appeal to consumer need to eat more vegetables, generate growing sales, and even earn price premiums of 100-300%. A few companies have understood what people want and have begun to offer vegetables as convenient, healthy, good-tasting meals, mini-meals, side dishes, and snacks, accelerating sales and fueling demand. NPD such as mini-beets, cauliflower rice, and spiralised courgettes are making it easier for people to choose more plant-based meals and snacks than was previously possible. Green Giant has built on the success of its first foray into the market in 2016 with riced cauliflower and expanded its range massively to include broccoli snacks and dishes that can replace potatoes. 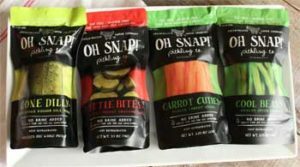 GLK Foods, America’s biggest sauerkraut maker, has pioneered individually packaged, “no-mess” pickles, pickled green beans, and carrots, in resalable pouches that are designed to appeal to millennials. In the Nordic countries, the Fazer bakery group discovered how to produce bread with 30% vegetable content. The range has doubled in two years as sales have grown. Never underestimate consumers’ appetite for novelty. Today we are all food explorers, locked into an endless, restless search for something new and interesting. New forms of vegetables, such as cauliflower rice, have the power of novelty on their side. As kale has shown, even the most unlikely and unappealing food ingredient can become cool and be embraced by the health-conscious lifestyle consumer. When people get used to a food in one form they are open to trying it in another, creating opportunities for innovation. An example is hummus. Brands such as Sabra familiarised Americans with hummus over the last 10 years, taking it from near-unknown to something everyone consumes. And this in turn has created the platform for snack makers to offer chickpea in other forms, such as snacks, marketed by companies like Biena, which is using good taste, naturalness and the natural protein content of chickpeas to get Americans accustomed to snacking on them. In the US, protein has evolved from being simply an ingredient to being seen as a benefit in itself, like fibre and calcium. The protein products market is evolving in directions no one anticipated five years ago with a host of new ideas and new niches emerging. The plant-based trend overlaps with the protein trend and nowhere more clearly than in the surging demand for plant-source proteins. A number of factors are converging to make this a happy time for plant protein makers. Strategy: More and more major companies are investing heavily behind products that offer the benefits of plant protein. One example is DanoneWave, which is investing heavily in new products and aggressive marketing to grow consumer awareness of plant protein-based non-dairy drinks and yogurts. Consumer preferences: Vegetable protein benefits from consumers’ desire for digestive wellness. A small but growing percentage of consumers believe that dairy protein gives them a digestive problem and consequently seek out drinks, for example, that are dairy-free. People are also looking for alternative plant proteins to get more nutritional value from fibre, vitamins and minerals that plants offer alongside the benefit of protein. Price: Affordability is pea protein’s big attraction for product developers using it in bars and beverages, for example. NPD: Product developers are finding ways to get more protein into everyday foods. An example is Detroit-based Banza, which raised $8-million to scale up production of chickpea-based pastas that offer twice as much protein per serving as wheat-based varieties, with 14 grams of protein per 2-oz. (56 gram) serving. The company communicates that Banza has half the net carbs of regular pasta—responding to people who are looking for protein instead of carbs—and four times the amount of fibre; it also mentions protein’s abilities to increase satiety and speed exercise recovery. The highest profile and most vocal would-be “protein disruptors” are the businesses backed by Silicon Valley tech investors, looking for the next billion-dollar “unicorn.” Examples include: Beyond Meat, which has received around $100-million in investment; Impossible Foods, backed by funding from Google Ventures; and Memphis Meats—these last two both backed by Bill Gates. The recent rollout of Beyond Meat’s pea-protein burger, Beyond Burger, in the chilled meat cabinets of America’s supermarkets puts merchandising at the heart of strategy. The company is taking the successful strategy of non-dairy plant milks as its model and references plant-based alternatives such as almond milk, which have grabbed 14% of the dairy category in the US. Although the Beyond Burger merchandising strategy is smart there is a difference from plant-based, non-dairy milks. One reason they are a success is that they offer an “easy to digest” alternative for people who find that cows’ milk gives them digestive problems. It’s not only that they are plant-based and claim to be good for the planet, they also deliver a clear digestive health benefit. As far as we can see, Beyond Burger does not have such a clear benefit advantage. And the Beyond Burger does have a very clear disadvantage. At a time when we are constantly reminded that consumers want their foods to be “as natural as possible,” with few ingredients, all easy to recognise, Beyond Burger has 20. For many consumers, it’s going to look like an industrial product and the opposite of simple and natural. And as for the forthcoming meat substitutes raised from lab-cultured meat? It’s an idea as far removed from consumers’ desire for “natural foods” as it can get. For these companies, they may find themselves bracketed along with GMOs as “Franken Food” in media and online consumer discussions. This massive trend underpins the success of almost everything else. It’s the key driver of most innovation in healthier food and beverages, from plant-based foods and beverages to the re-birth of full-fat dairy, the rise of green juices, blueberries, almonds, seaweed snacking and more. A natural and intrinsic health benefit offers the most compelling message. Bloggers and journalists love to write about ingredients and products that are naturally healthy; and the buzz of consumer interest they help create means that when people draw their own conclusions about the benefits of your naturally functional product, then you don’t need to make a health claim. The strongest naturally functional growth potential lies with turmeric, which—having proven its strength in the supplements aisle—is starting the transition into foods and beverages. The fragmentation and complexity of consumer beliefs about food and health are a massive defining force. It’s causing markets to fragment and leading to a proliferation of new niches and new brands to serve them. This spells opportunity for product developers and entrepreneurially-minded companies. Every year we aim to entertain and inform our customers with the New Nutrition Business annual analysis of the Key Trends in the Business of Food, Nutrition & Health. If you want to know what trends will be creating opportunities and challenges for your business in the years ahead, you will find them here, as well as some practical advice about how companies are successfully responding to these trends – and what you can take from these for your own business.